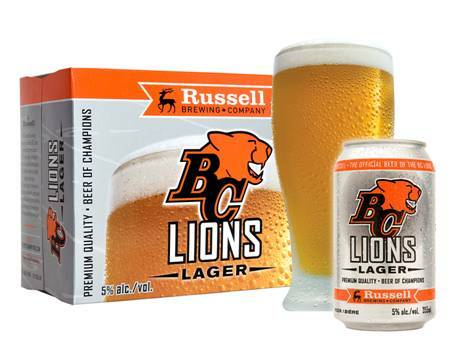 Russell Brewing, in partnership with the BC Lions, is launching BC Lions Lager on September 4. Although Granville Island Brewing has had their Whitecaps IPA since 2006, this is actually the first time that a Canadian professional sports team has developed a proprietary beer brand. 12-packs of cans will be selling in government and private liquor stores for a recommended price of $19.34. To really be set for the game, however, you’ll need to get your very own beer launching fridge to avoid those pesky trips to the kitchen for a refill. My prediction? For the Leos to win the Grey Cup, they’ll need to bring out a secret weapon — some IPA!